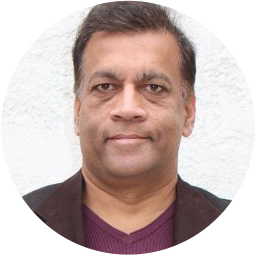 Pavan thrives on the process of company creation and enjoys working with great teams with innovative ideas. He co-founded Healtheon (now WebMD) in 1996 along with Jim Clark, and led the company’s transformation from a concept to the worlds largest e-health company and one of the most well recognized brands. Pavan’s role was extensively profiled in the bestseller The New New Thing by Michael Lewis. In 2002, he co-founded Cendura, and as CEO, developed it into a market leader in data center automation software. Cendura was acquired by CA. Earlier in his career, as General Manager of Interactive TV at Silicon Graphics, he led the deployment of Time Warner’s Orlando Project, widely recognized as the most advanced ITV system ever created and which became the foundation for several advanced technologies and companies (eg. Tivo, VMware). Prior to that, as Engineering Lead at Intel, he wrote the debugger for the X286. Pavan holds a B.S.E.E. from the Indian Institute of Technology (Kanpur) and a M.S.C.S. from the University of Wisconsin-Madison. He was a recipient of the IITK (West Coast) Distinguished Alumni Award, University of Wisconsin Distinguished Fellow (E-Business), and the 2015 University of Wisconsin Entrepreneurial Achievement Award.